I know I've raved about Mermaid Inn's lobster roll before, but after I had a taste of the lobster rolls at Luke's Lobster, I must say that I've found a new favorite. The lobster is sourced directly from Maine, and you can truly taste the freshness. 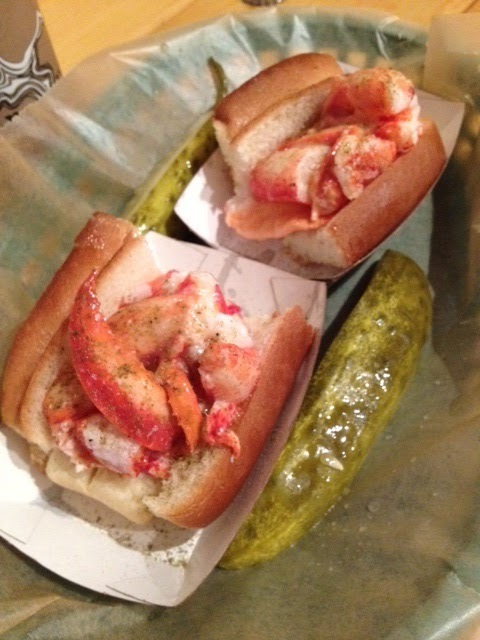 Luke's Lobster can be found in the Financial District, East Village, Upper West Side, Upper East Side, Plaza Food Hall, and on a roaming food truck. 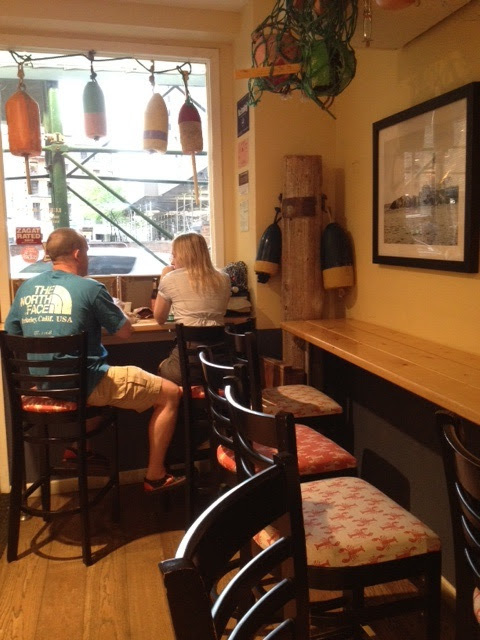 The inside of the shop is small and consists of high chairs and counter seating. The seats are upholstered with lobster prints! The menu is simple and really only for seafood lovers... 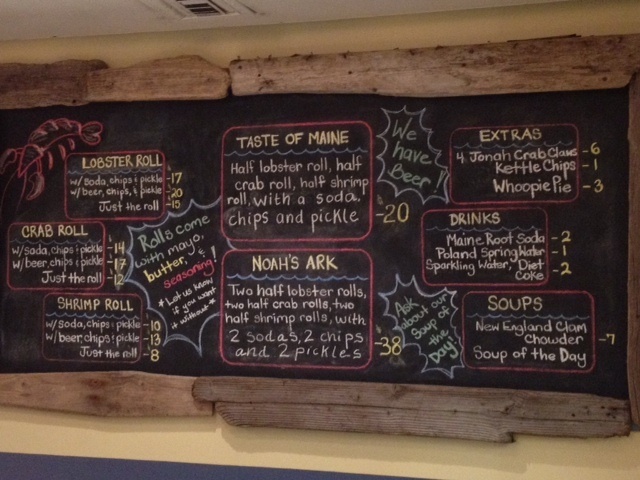 Lobster roll, crab roll, shrimp roll, and soups. We opted for a lobster roll with soda, chips, and a pickle for $17. Luke's is definitely generous with the lobster meat, with 4 ounces per roll. The white roll is buttered and toasted, the mayo and seasoning is light, and just a tiny but perfect amount of lemon flavor seeps through. Altogether this makes up an amazing experience. The lobster roll at Luke's is definitely a simpler option than that offered at seafood restaurants around the city, but if you're looking for that roll to end all rolls, I promise this is it.